As a small business owner, Tim knows that small businesses are the backbone of our economy. Low taxes and fewer government regulations are essential for job growth and small business creation. As your State Representative, you can count on Tim to fight to make Tennessee the best possible environment for new businesses to be established and existing businesses to thrive. Conservative Republican leadership in Tennessee has resulted in our state being named a top business friendly state. Tennessee’s ratio of debt and pension liabilities to personal income continues to be amongst the lowest in the nation. Tim is a fiscal conservative. You can count on him to oppose wasteful spending and fight to keep taxes among the lowest in America. He is opposed to a state income tax in any form. Tim believes local families and teachers know what is best for our children, not federal and state bureaucrats. We need genuine state and local standards based on local history, local values and the demands of a fast growing local economy. This is why he will continue to oppose Common Core standards and be against federal overreach into our schools. He will protect the rights of parents. Tim believes in giving parents more choices in the education of their children and where they attend school. Tim will work to ensure the solvency of the HOPE Scholarship and Tennessee Promise so more Tennessee students have the ability to attend college or a trade school. Tim will also support and fight for our teachers. It is critical we recognize the teachers who motivate and inspire our students. MTSU is now one of the largest universities in Tennessee, and is a real asset to our community. MTSU deserves a fair and equitable share of state funding for higher education. Tim will work to ensure MTSU receives its fair share of every education dollar. Tim strongly opposes Obamacare and will continue to fight its implementation in Tennessee. Under Obamacare, health care costs have skyrocketed over 60% for many Tennesseans. Thousands of Tennesseans have lost or are about to loose their health insurance; many doctors now refuse to take new insurance plans mandated by Obamacare. The relationship between doctor and patient must be restored free from the hindering interference of the federal government. Seniors are having a harder time paying for the care and medications they need, and people everywhere are being forced to accept these higher costs as Obamacare threatens to destroy our country’s entire health care system. 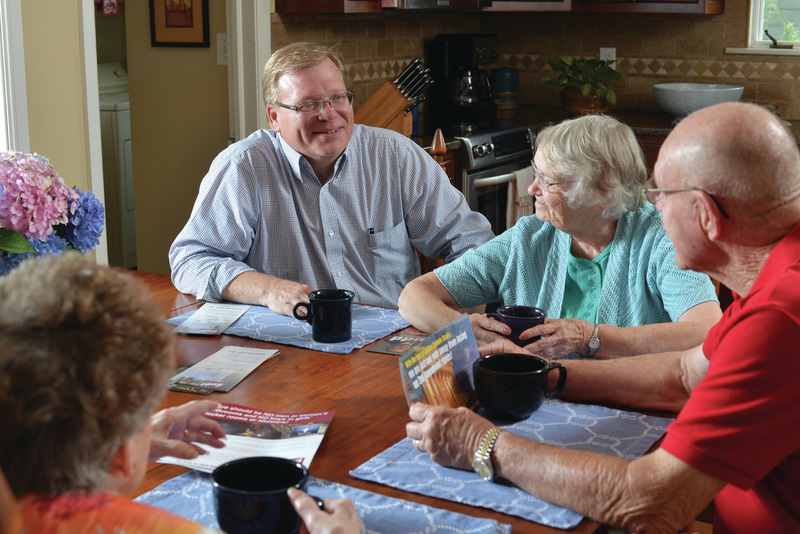 Tim will support cost-saving solutions such as support for long term care and more flexibility in home healthcare. Tim supports increased access to health care through free market competition, preserving patient rights and patient privacy. He supports slashing wasteful spending by encouraging more efficient practices and supporting healthcare insurance reform to reduce the cost of your health care. Additionally, Tim supports legislation to allow small businesses to pool together to qualify for group health insurance programs, and the establishment of healthcare savings accounts. “Whether it be freedom of speech, the right to own a firearm, taking a stand on education reform or pushing the conservative agenda, you can count on me to continue to defend your Constitutional rights with the same determination I’ve shown for over 30 years fighting to elect conservative Republicans in Tennessee and as a member of the State Executive Committee." You can trust Tim to fight to ensure that Tennessee is protected from a lawless, disobedient, burdensome and unconstitutional federal government. Tim will oppose Obamacare, fight Obama’s attempt to take our firearms, and oppose EPA over-reach. Out of control Federal Courts, and a corrupt, partisan U.S. Justice Department are undermining the foundations of our Judicial system. Tim will work to ensure Tennessee fights back against federal judicial overreach. Convention of The States: I would support a “convention of the states” which would enable state legislatures to call for a national convention to pass an amendment to the U.S. constitution and bypass Congress – only if it can be proven that such a convention can be called for a specific subject such as a “balanced budget amendment”. I would not support a convention of states that opens the entire constitution up to amendments. Tennessee has already passed a resolution calling for a convention of the states. A proposed amendment by a convention would still need to be ratified by three-fourths of the States (38 of 50 States) to become a part of the Constitution. Tim has dedicated over 30 years of his life to building the Republican Party into a majority Party, promoting conservative values by fighting bad legislation and electing conservatives to all levels of government, and he has worked to ensure that our community’s values are both protected and promoted. Tim is Pro Traditional Marriage. He believes that traditional marriage between one man and one woman forms the foundation of the family unit, which then becomes a supportive and stabilizing institution of society. Tim is strongly Pro Life. Life is a sacred gift from God, and is to be valued and protected for all including the unborn, those with special needs, the poor, and the elderly. Tim served as treasurer for Tennessee Volunteers for Life (forerunner to Tennessee Right to Life). Tim opposes illegal immigration and will fight at the state level to support common sense measures designed to reduce illegal immigration (such as E Verify). Tim is opposed to sanctuary cities and will work to enforce Tennessee’s Tenth Amendment rights. Tim will oppose the federal government’s attempts to force refugee resettlement upon us. Tim is a strong supporter of the Second Amendment. The Bill of Rights expressly guarantees each and every lawful American citizen the right to keep and bear arms. While Tennessee has made many strides to further protect gun owners, liberal special interests have actively sought to strip law-abiding citizens of their 2nd Amendment rights. Regardless of the attempts to restrict gun rights by overzealous Washington politicians, Tim Rudd will guard law-abiding Tennesseans’ right to keep and own firearms. Tim Rudd has been a tireless advocate of property rights for many years. As a Republican Party leader, he fought against an overzealous Federal government. He strongly opposes government's abuse of eminent domain and annexation laws. Tim is a proven, trusted, conservative leader. He has always put conviction and principle above politics. He doesn't take public service lightly, and his campaign isn't about personal ambition or padding a resume. It is about giving back to a community that's been good to him. It's about taking a stand for the conservative principles he's championed for over 30 years. As a Republican Party leader, community volunteer and businessman, Tim has earned a reputation for honesty, integrity and conviction to do the right things for the right reasons. He opposed a state income tax, fought for a smaller and less intrusive government, took a stand for his neighbor's property rights and promoted the conservative principles of the Republican Party. You can count on Tim to continue to fight for the values we share as your next State Representative.